There is no doubt that Cabernet Sauvignon is king in the Napa Valley. But the grape also lends character in blends with long time bottle-mates like Merlot and Cabernet Franc. The phrase ‘Bordeaux Style’ has risen from obscurity to describe this category of Cabernet dominant, but still blended wines. Even wines labeled Cabernet Sauvignon can contain substantial percentages of other blending grapes. In America, to be legally bottled as a specific varietal, the blend must contain seventy five percent of the stated varietal. Otherwise, they are legally called red wine, leading to many use unique proprietary names that tell a story about the wines or the wineries. Here are some of our favorites. A small, picturesque, family owned winery rests high above the Napa Valley on Spring Mountain. Fred Schweiger and his family have been successfully farming here since 1979, making their own wines in 1994. Their blended wine is called Dedication, and celebrates one of the most fun and rewarding parts of wine making, blending. A classic percentage of this style, the 2008 Dedication is 58% Cabernet Sauvignon, 31% Merlot, 6% Malbec, 5% Cabernet Franc and reflects the inherent quality of the deep volcanic soils of the estate. The nose is inviting and rich with blackberry and jammy cherries, while the palate shows greater depth with truffle oil and dark chocolate flavors. The word around the estate is this wine is just as fun to make as it is to drink! 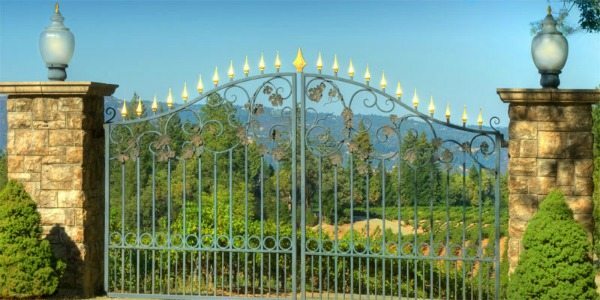 After a prosperous grocery venture in the San Francisco bay area, Don Long decided to invest in land on another famous hill in the Napa Valley, Pritchard Hill. He started in the 1950’s, and by the 70’s, his son, David began planting vines on the property. By 2010, the family had surpassed 25 vintages in the Napa Valley. Their Cabernet based blend is rooted in the Long brother’s Italian heritage. It has a classic base of 54% Cabernet Sauvignon, 10% Merlot, 5% Petite Verdot and 3% Cabernet Franc, but varies a bit with 28% Sangiovese! The name, “Meritaggio” reflects the Italian family history as much as the Sangiovese in the blend. By not declaring a varietal, the family has the freedom to work the percentages as they see fit. Scents of rhubarb and toffee greet the nose, with chalky minerality and fine grained tannins on the lush palate of this wine. Enjoy a little insight into David Arthur wines below. This winery is small, family owned, and hard to acquire – a true boutique winery. The extremely small scale of this winery allows the owners Les Behrens and Lisa Drinkward to make real ‘hand-crafted’ wines. They are all bottled unfined and unfiltered. They maintain a tight and personal, almost obsessive, relationships with their vineyards, and only work with others who feel as strongly about quality as they do. For all this intricate and involved wine making, they would rather let the vineyards speak for themselves. Their unique blended wine is styled with a very different complexion, 70% cabernet sauvignon, 20% petite verdot and 10% petite sirah! The 2012 ChangeUp entices the olfactory senses with roasted plums and mocha on the nose, with a lengthy sweet cherry finish. Harking to another passion of the ownership, you can see a little nod to current the current World Series Champions – San Francisco Giants on the label. From the western Mayacamas, to the Vacas Mountains in the east, and everywhere in between, we can ‘Make it Happen’ for you at some the Napa Valley’s finest wineries and tasting rooms. Let us show you around in style soon!